James Rolfe of Cinemassacre productions, who is probably best known as the “Angry Video Game Nerd”, posted a video not too long ago with pre-alpha footage of a game about himself: AVGN Adventures. 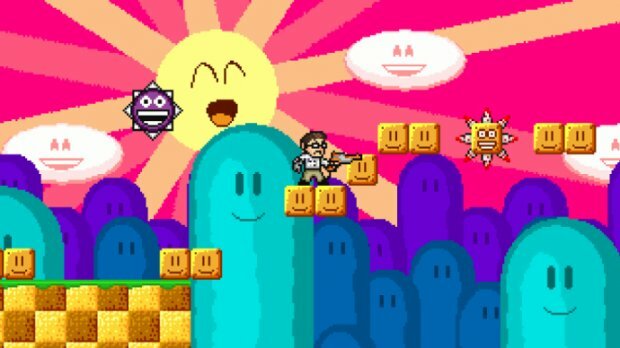 Even in pre-alpha stage, the sardonic feel of the game bleeds through (sometimes literally) which should please the Angry Video Game Nerd’s long-standing fanbase. Catch the video after the jump. Details are still slim about the game, but it’s already on Steam’s Greenlight service if you’d like to show your support. This reviewer is actually looking forward to playing a game starring “the angriest gamer you’ve ever heard” because even this incredibly early-stage trailer evoked some blank stares of disbelief.